Your Aircraft Is An Asset. We'll Manage It Like One. FlightWorks is not your typical “aircraft management” company. In fact, we don’t call ourselves aircraft managers. We are asset managers, where our decision making is founded in long-term value preservation of your aircraft. 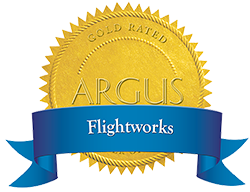 The FlightWorks team of seasoned professionals includes talent assembled from the best in the private aviation industry. Our leadership team has over 125 combined years of experience in business aviation. It’s simple – we believe in transparency. FlightWorks earns money from aircraft management clients only through management fees and charter commissions. There are zero markups on anything. Every penny of our proven procurement strategy is passed onto you without markup. To be clear – we do not mark up pilot training, fuel, third party maintenance, or anything else we procure on behalf of our aircraft management clients. FlightWorks offers an innovative program that eliminates the need for working capital deposits. Many companies ask for deposits to fund aircraft operations cash flow. Not FlightWorks. Our clients who allow us to charter their aircraft pay no working capital. No capital risk. No worries about losing a large deposit. Just peace of mind knowing you are affiliated with a financially stable partner. Operating cost per owner hour – with and without charter revenue, so you know the bottom-line charter contribution per flight hour and how it reduces your cost of flying. Fuel pricing and consumption – see economy of scale fuel pricing in real dollars and cents while also knowing how economically your aircraft is being operated. Maintenance costs per hour and 90-day forecasting – you will always be informed well in advance of upcoming maintenance inspections, downtime, and the exact cost of all maintenance per hour. Aircraft warranties and programs – many “management” companies do not maximize the use of warranty coverage to keep your cost of maintenance as low as possible. We track every aspect of every warranty item and maintenance program to maximize the benefits and reduce your cost of ownership. Flight time / cycles – this critical item is often overlooked when planning daily flight segments. The fine print of your engine or maintenance program contains provisions for minimum flight hour-to-cycle ratios. These are tracked to minimize your risk of financial penalties from the OEM or service provider. Charter hours vs. goal – we work with you to develop an annual budget that includes charter hours and revenue. You will know exactly how we perform to that budget. 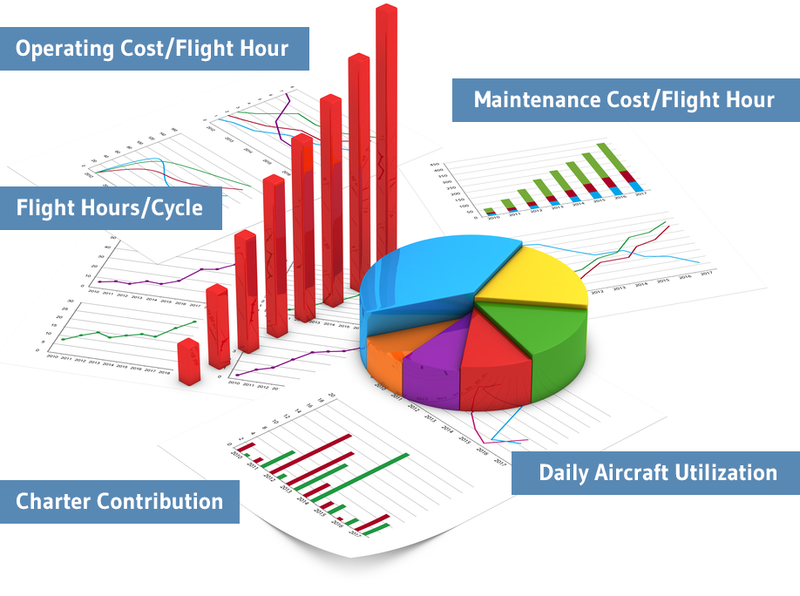 Daily aircraft utilization – you’ll know exactly what your aircraft did every day of the month. Does my management company take 100% of the credit risk for charter collections? Am I certain that my aircraft is being operated in an efficient manner? Am I receiving intelligent data that shows the value my management company is delivering?